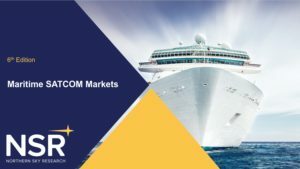 NSR’s Maritime SATCOM Markets, 6th Edition explores the market for maritime satellite connectivity. 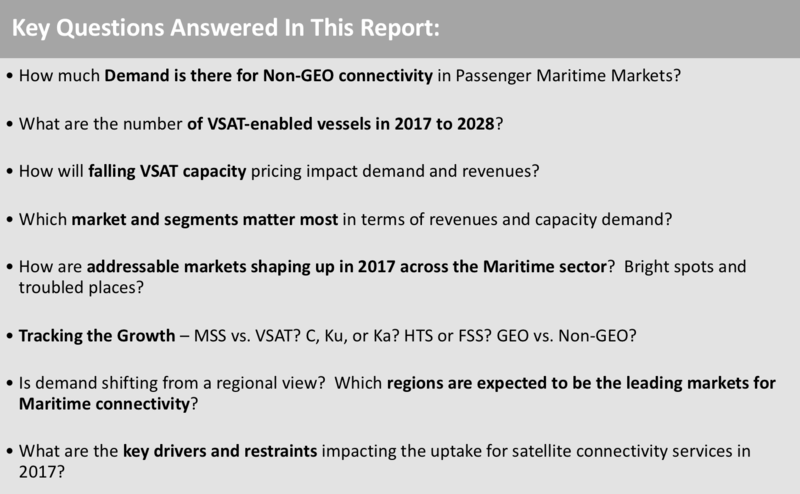 With a recent explosion of bandwidth demand coming from across the market – some from the transition from MSS-based services to VSAT, most from passenger-connectivity, nearly all satellite players are riding the wave of an increased focus on digitalization across the maritime sector. 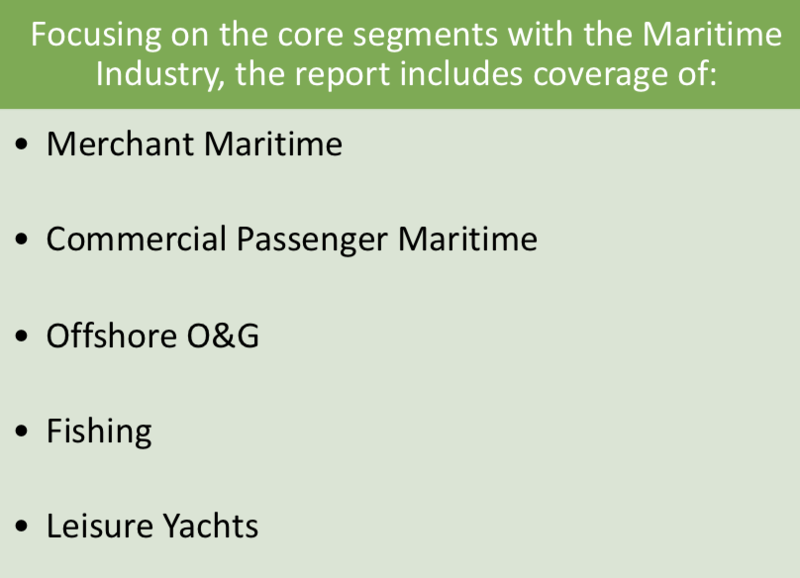 The assessment provides further details according to segment, region, and frequency across a core-set of metrics vital to assess the health of the Maritime industry for the Satellite Communications sector. Focusing on In-service Units, Revenues, and Capacity Demand across FSS, GEO-HTS, Non-GEO HTS, and MSS capacity, the report dive-deep into the trends, drivers, and restraints behind each segment. Doubling over the next ten years, Maritime SATCOM Markets are in a growth-phase. Driven by Merchant vessels deploying data-intensive programs to control costs and improve operational efficiencies alongside the insatiable demand of social media and streaming video in the passenger sector, GEO and Non-GEO, VSAT and MSS will all be key pieces of the puzzle in solving remote maritime connectivity. As Iridium NEXT comes online with GMDSS certification over the next few years, how will MSS markets react? Is Non-GEO “the missing link” to unlock passenger pricing elasticity? 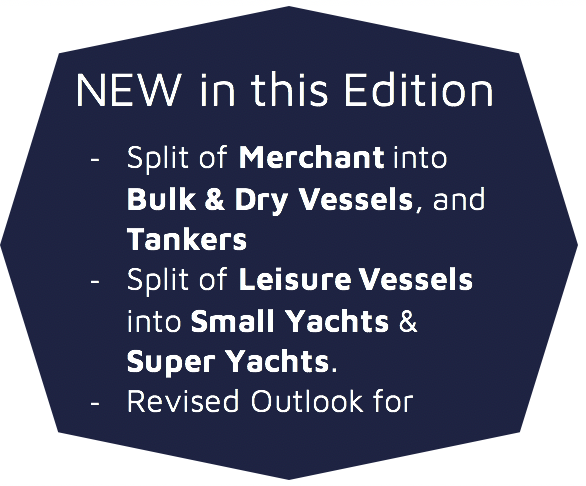 Maritime SATCOM Markets, 6th edition explores these major dynamic trends and their impacts. 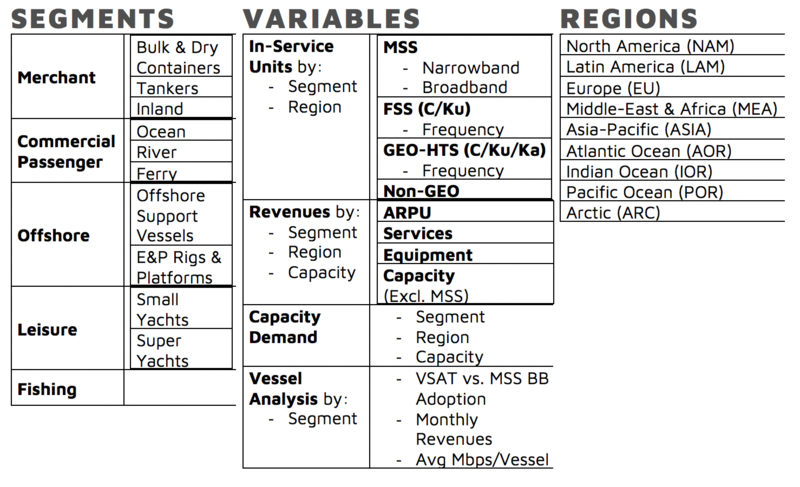 NSR’s Maritime SATCOM Markets, 6th Edition is built from 10+ years of research on the maritime satellite communications market. Continuously tracking the developments of key players, end-users, and market segments, combined with extensive interviews across the value-chain, and deeper-dives in selected sub-segments and regions, all combine to form a complete quantification of major trends, drivers, and restraints present in the market. World Trade on the Rise… Maybe?